Tickets for two adults attending Nitro Circus, a live action sports show touring in late January and February, are priced at $138 on three ticketing websites. Add in the booking, delivery and credit-card fees and you could pay from $145.23 to $155.77. Ads for upcoming events may not mention a basic ticket cost let alone the additional fees. Usually the first time you’ll see the ticket price is when you look for tickets online. The ticket agent’s website will also tell you – often in an asterisked footnote or pop-up box – that there may be booking, delivery and payment-processing fees. But the cost of these fees isn’t always clear until you’ve gone further down the buying route: you usually have to register and log on before you can find out more. The initial Ticketek booking page says its service/delivery fee is “from $5.25 per transaction” and its payment-processing fee is “from 2.55 percent”. Ticketmaster’s initial page says “a delivery fee may apply depending on the mode of delivery selected” but doesn’t disclose what this is – although it does specify the payment-processing fee (2.3 percent) and the handling fee ($5) “if booking online”. The TicketDirect page has details of the delivery costs but says “tickets may incur a per ticket service fee” and “a Merchant Fee may be charged on credit- and debit-card transactions”, with no detail of those amounts or percentages. TicketDirect has told us in future its website will show per-ticket fees in its prices and the percentage of the merchant fee. The event promoter, venue and ticketing agent may all have a say in what you pay for a seat. There are two parts to a price – the “inside” and the “outside”. How these are structured varies by venue, promoter, ticket agent, and the act or artist. The “inside” price is the face value of the ticket. The largest proportion will go to the promoter. “Outside” fees are everything over the face value of the ticket: booking (aka transaction), delivery and payment-processing fees. These can vary by event, venue, ticket agent, booking method and delivery method. Promoters can put some (or all) of these “outside” fees into their ticket price. However, they may not want to do this because it raises the ticket’s face value. Or the artist and their management don’t want the face value to be over a certain price. A “$99” ticket looks more appealing than a “$115” ticket, even though you’ll end up paying the higher amount after the outside fees are included. It’s a mind game – and consumers are being played. Eventfinda, one of the smaller ticket agents, includes its payment-processing fee in its inside price. It also encourages promoters to do the same with the booking fee and offers them a discount on its total fee if they do so. If a promoter chooses to put the payment-processing fee “outside”, Eventfinda’s pricing information discloses this. Eventfinda told us it believes a single ticket price with no add-ons is the best consumer experience. Overseas there have been moves to clean up “drip pricing”. In Australia, businesses are prohibited from advertising a component of the price without prominently showing the total amount a consumer has to pay. This single price is the “minimum quantifiable consideration” and must include all amounts the consumer has to pay, including booking fees. If a credit card is the only payment option, the payment-processing fee must be included in the single price. Variable delivery fees don’t have to be included but have to be disclosed upfront. A recent Australian Competition and Consumer Commission investigation has forced Ticketek and Ticketmaster to show a single price that includes their payment-processing fees. But it’s not a total win for Australian consumers: booking and delivery fees are still added on separately. European Union (EU) regulations that came into force in June 2014 require traders to clearly disclose the total cost of a product as well as any extra fees. 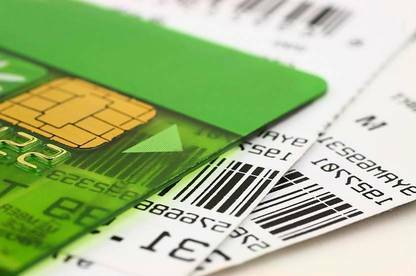 Surcharges for credit- and debit-card payments are restricted to the actual cost of accepting cards for payment. Pre-ticked boxes are also banned. While there are a number of smaller ticket agents around, Ticketek and Ticketmaster are the main ticketing agents here (see “Nice little earners”). Between them, they have exclusive rights to the major event and sporting venues in New Zealand. Ticket companies with deep pockets have a distinct advantage over smaller players when it comes to tendering to provide ticket services. Once the ticketing tender has been awarded to an exclusive ticket agent, promoters have no choice about which ticket agent they can use at a venue. Other ticket agents can’t get a look in if venues don’t open up ticketing to more than one company – and consumers can’t get competitive ticket prices when they only have one ticket source. With their exclusive deals, there’s little incentive for Ticketek or Ticketmaster to improve their service or genuinely offer a competitive difference. One venue to break the mould is The Trusts Arena, Auckland. It licenses four ticket agents each year – so a promoter can choose which ticket agent it wishes to use for an event, or even use more than one ticket agent. Brian Blake, its CEO, said The Trusts Arena wants to “bring choice to patrons and clients”. He’s also strongly in favour of all-inclusive ticket pricing. His venue staff are the first to cop the flack when patrons buy their tickets and are faced with a booking fee on top of the ticket price. Through post-event surveys he’s noticed much higher satisfaction with ticketing if the fees have been included inside the ticket price. He believes that without the type of legislative change that’s happened overseas, the big international ticket companies and promoters won’t budge on all-inclusive pricing. "Artist management has the role of looking after their artist so local fee structures are often a small segment of a global operation. It's a detail for them and they focus on what the patron sees on the poster." Ticket insurance is offered by Ticketek, Ticketmaster, TicketDirect and Dash Tickets. But watch out. TicketDirect and Dash Tickets both preselect ticket insurance during the online booking process – you have to untick the box. Ticketmaster and Ticketek let you opt in instead of making you opt out. Ticket insurance covers you if you can’t get to the event for specific reasons. For instance, if you’re sick or injured, a relative requires care, your transport is cancelled or delayed, or you’re in an accident on the way to the event. It will refund at least the cost of the unused ticket. Some policies also refund the booking and transaction fees. But it may not cover any other costs you have incurred such as travel or accommodation unless they’re part of a package. Before you purchase insurance, read the policy to see exactly what it covers (or doesn’t), and what pre-existing conditions you might need to disclose. Ticketek’s and Ticketmaster’s insurance doesn’t cover you if you miss the event because of the injury or sickness of a relative aged 81 years or over, or if you’ve been taking certain prescribed blood-thinning medications. Ticket insurance doesn’t cover an event’s cancellation or delay. That’s covered by the Consumer Guarantees Act – so ticket agents must refund the full cost of the ticket (including the add-on fees). However, the websites of five ticket agents – TicketDirect, iTicket, Cosmic Ticketing, Dash Tickets, and Ticketmaster – said they wouldn’t refund some fees. So we followed this up. TicketDirect, Dash, iTicket and Cosmic Ticketing told us while that’s their official written policy, in practice they refund all fees. TicketDirect and Dash have since amended their websites. TicketMaster told us it refunds all fees except the courier fee if the tickets have already been sent out. In our view the Consumer Guarantees Act would entitle you to a refund of the courier fee as well. What about the remaining two? The Eventfinda site doesn’t mention refund exclusions. When we followed it up, Eventfinda told us it refunds all fees. On its website, Ticketek says if a refund is made it may “to the extent permitted by the law, retain any fee it has charged”. Rules similar to those passed in the EU are needed here to control drip pricing. All prices need to be clearly displayed early in the booking process. Consumers must be able to calculate the real cost before going on to buy a ticket. Pre-ticked boxes that add optional costs (such as insurance) should be prohibited. All fees and costs should be refunded in the event of a cancellation – and the ticket agencies’ websites should make it clear they do this. 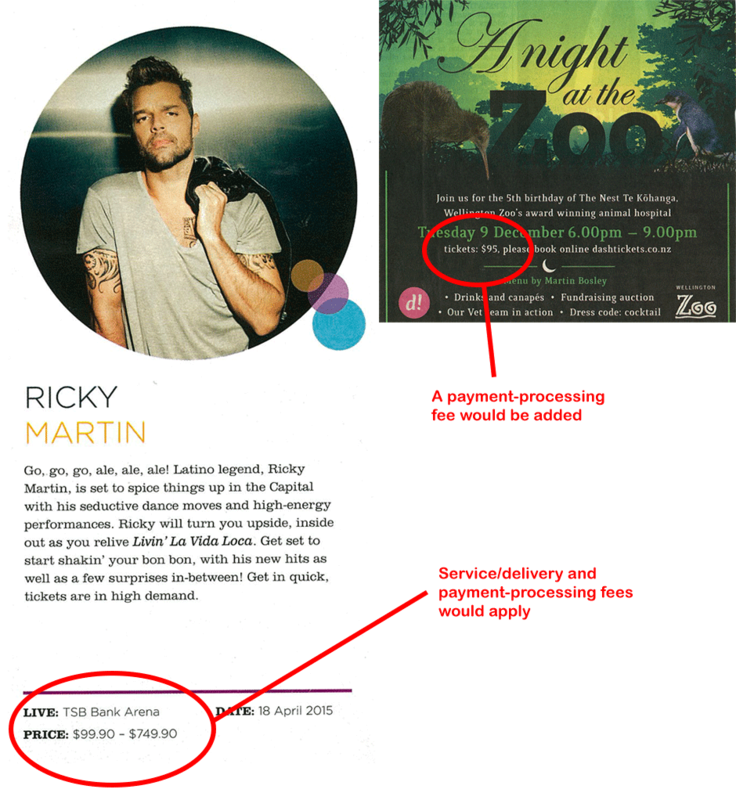 Ticketek is owned by Australia’s Nine Entertainment Company. In the 2012/13 year, its New Zealand revenue was $9.5 million. Ticketmaster is owned by Live Nation Entertainment, a global company also involved in event promotion and artist management. 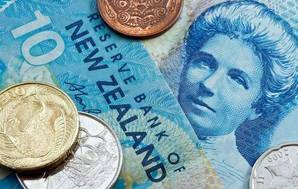 Its 2013 New Zealand revenue was $13.4 million. Booking fee: This is also known as a “service” or “handling” fee – and it’s the one you can’t avoid. The ticket agents say it’s their main source of revenue and it pays for everything needed to run a ticketing company. However, they usually also get revenue from the face value of each ticket. Levies: Some venues have special levies. Vector Arena has a Land Levy fee of $2.75. Wellington’s Opera House and St James Theatre have a $1.50 Performing Arts Foundation Levy. Christchurch’s Isaac Theatre Royal adds a $2.50 Earthquake Restoration Levy. Delivery fee: You’ll pay an additional fee to have your tickets couriered to you. Even if you book online and collect them from the venue you could still be hit with a fee. Ticketek combines its service fee and delivery fee so it looks like it charges you to print your tickets on your own printer using your own ink! Other ticket agents offered free e-ticket delivery for events we looked at. Payment-processing (aka merchant) fee: Pay by credit or debit card and you’ll cop this – so it’s hard to avoid this fee if you’re purchasing online. Fees we saw ranged from 2.3 to 3.1 percent for online. Advertised prices are hard to find without going to the ticket agents’ websites. But we found some that didn’t let you know additional fees would apply. They’re potentially misleading and could be in breach of the Fair Trading Act.